We are ready to welcome you into our essential oil community. I am happy that you’re here. I’m so excited for you to get started with essential oils! I’m Jen Klementti. 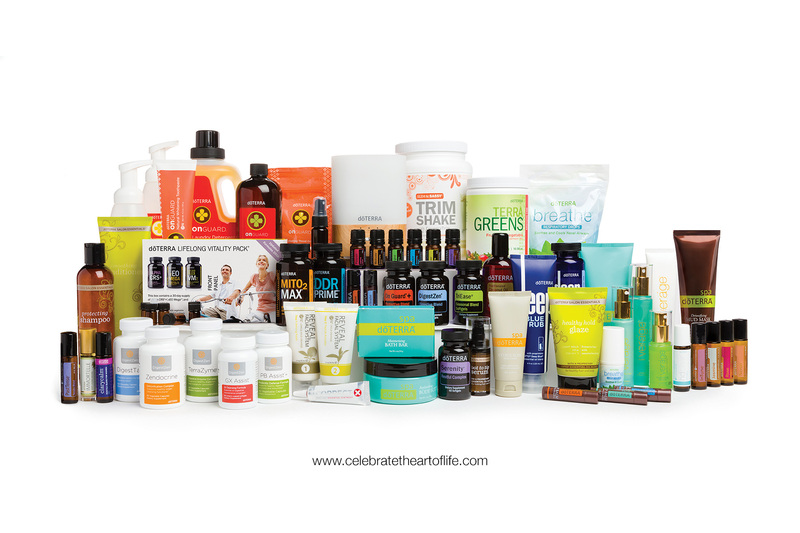 I am the creative director, photographer, and blogger here at celebratetheartoflife.com and a dōTERRA wellness advocate. I am a wife and a mom to a 9-year-old daughter. Read more about my story here. Over the past year and a half sharing dōTERRA essential oils, I have grown a business helping hundreds of women get started with their essential oil journey. Many get started to reduce the toxins in their homes and their daily skincare routines or to support the health and wellness of their families naturally. Check out this guide that I created for you on how to use the top ten most popular oils. And if you want to know more about why you want to choose dōTERRA, learn about their mission, co-impact sourcing model, social impact initiatives you can read more why I love dōTERRA here. When you enroll as a customer with myself or a wellness advocate on my team, you are not only supported by that person to help you get started with essential oils, you will have access to our thriving oil community and have access to all of our resources, ongoing education, and support. Essential oil lifestyle ebook packed with recipes for healthy holistic eating, DIY’s & how-tos, diffuser + roller blends, self-care and more. *coming soon!! A 6-week educational email campaign to help you get started. We’ve got you covered for the basics like diffusing, roller bottles, and simple daily uses as well as how to maximize your dōTERRA membership. An invitation to have a 30-minute 1:1 welcome call with me by zoom call to help customize your daily health plan. An exclusive welcome gift from me sent in the mail that includes a getting started guide and some extra goodies to help you get started with your oils. Access to our private Facebook community with ongoing education, oil tips, DIY’s, product information, videos, and monthly giveaways. Access to our private Business Builder group if you are interested in the business. 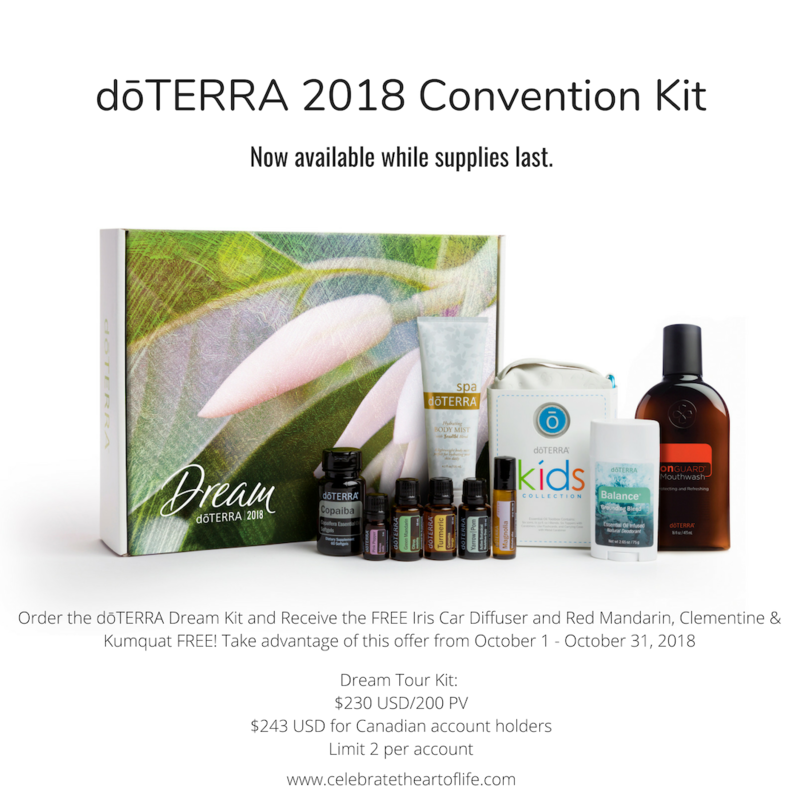 This October, you can order the dōTERRA Dream Tour Kit while supplies last. 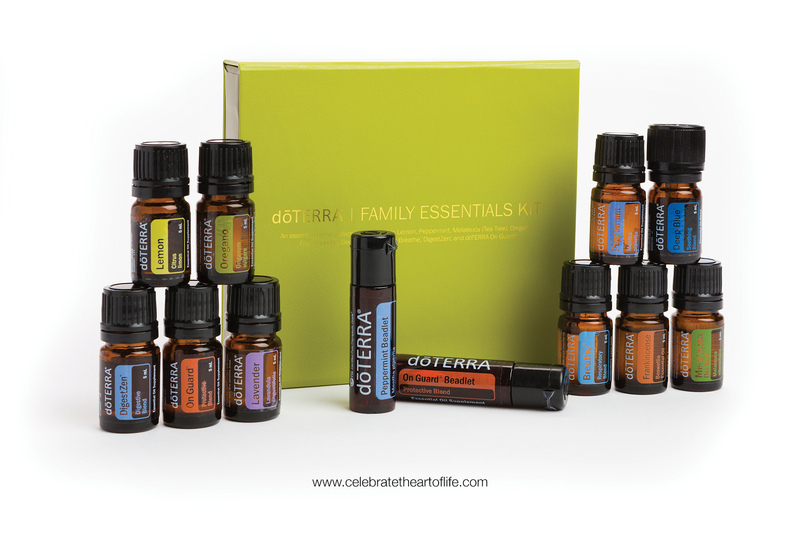 This kit contains all the new oils and products that were released in September at the dōTERRA Global Convention. 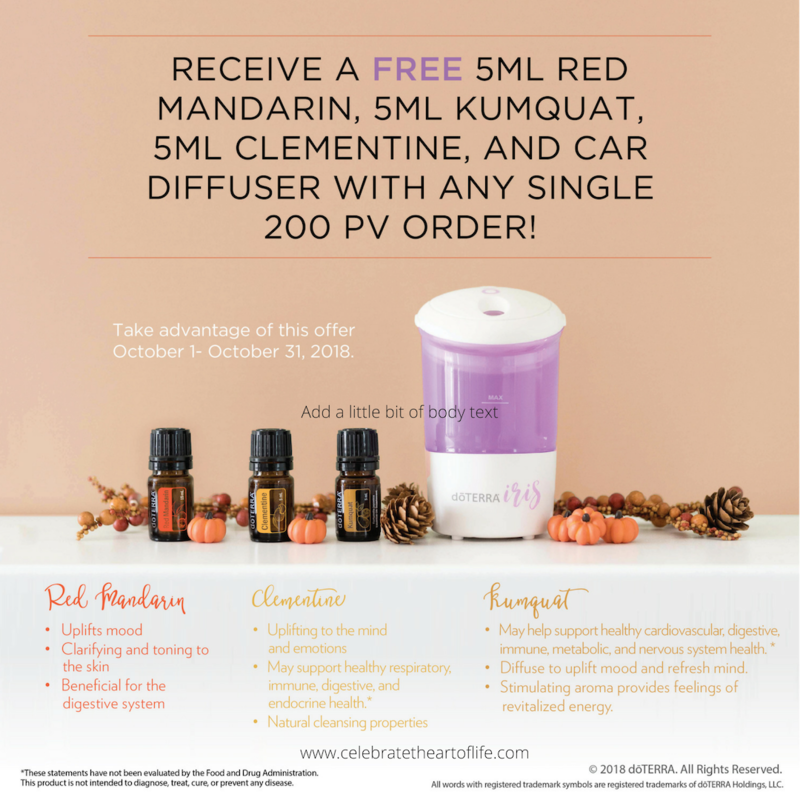 If you are already a wholesale customer, you can order this kit at 45% off and qualify for the October PROMO with the FREE Car Diffuser, Kumquat, Clementine and Red Mandarin limited time oils. 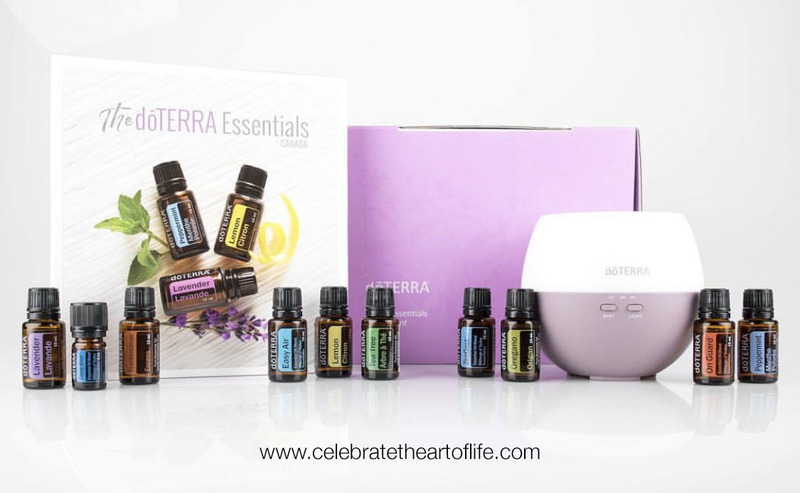 You can also enroll as a customer with this kit by opening a wholesale account by choosing ‘Introductory Package’ (you’ll get our amazing dōTERRA reference book too!). Then add this kit to your cart as your first purchase and also receive the October PROMO!! Head on over to my Facebook page to learn all about the new oils and products. 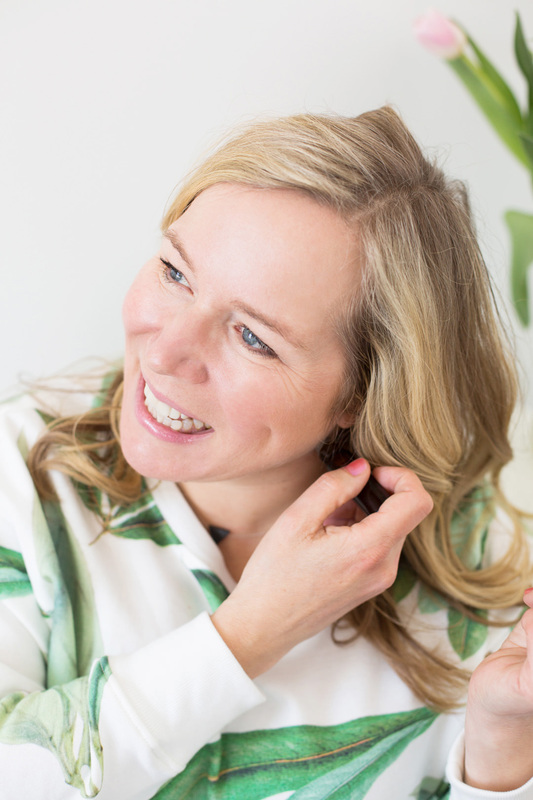 I’ve been sharing lots of education about the new oils on my brand page. Hi there! I am so glad that you’re here! 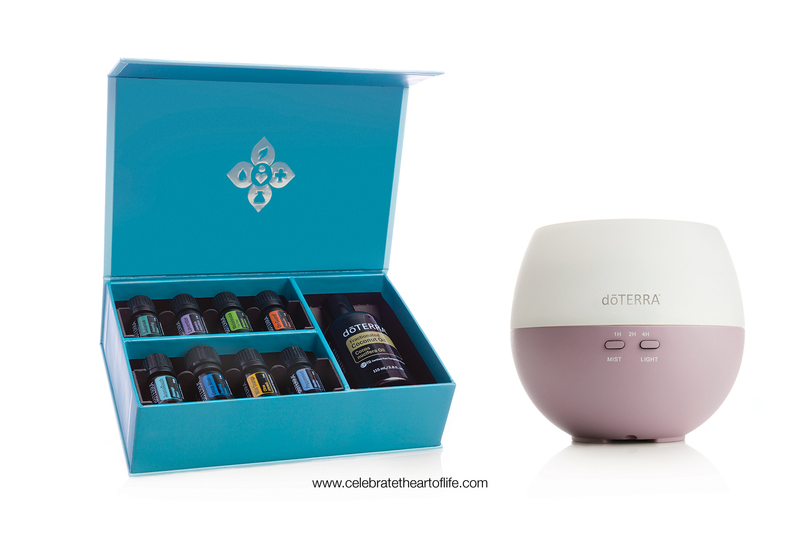 There are two ways to get started with dōTERRA. You can sign up with a wholesale account for $35 USD ($42 CAD) and then customize your order at 25% off. Or you can choose one of our starter kits which will waive the $35/$42 account fee. The kits bundle the most popular options and offer savings and you’ll have the wholesale membership with 25% off for the entire year to purchase whatever you want. The Family Essentials Kit is a mini version of the most popular Home Essentials Kit. This kit contains the top ten oils in 5 ml size and On Guard & Peppermint beadlets (US) or two Peppermint beadlets (Canada). The Home Essentials Kit is our most popular kit and the one that I got started with. It contains the top ten oils and a petal diffuser. These are the top ten oils that every home needs. The Aromatouch Diffused is a great option if you are on a budget. I love this kit because it contains the petal diffuser as well as our fractionated coconut oil. It comes with 5 ml bottles of some of our most popular oils. The Natural Solutions Kit is another one of our best sellers! This kit has tools for you to really kickstart your health journey with oils while getting you started with green cleaning and green beauty products. It contains the top ten oils plus other popular oil blends, the On Guard Collection and other products including our LLV supplements. Your Savings: $163. You’ll also receive 100 FREE product points and start at 15% rewards. 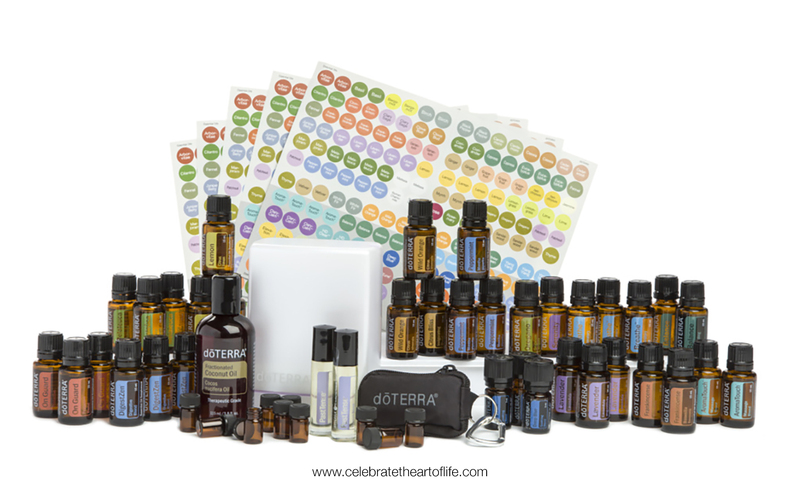 The Oil Sharing Collection is a great kit for those looking to start a dōTERRA business or health practitioners looking to share or retail oils in their space. This collection has multiple bottles of each oil in the kit as well as my favourite Lumo Diffuser, fractionated coconut oil, 5/8 dram sample vials to help you start sharing oils and a cute black keychain to carry your sample drams. Your Savings: $392 You’ll also receive 100 points in FREE product credit and start at 15% rewards. 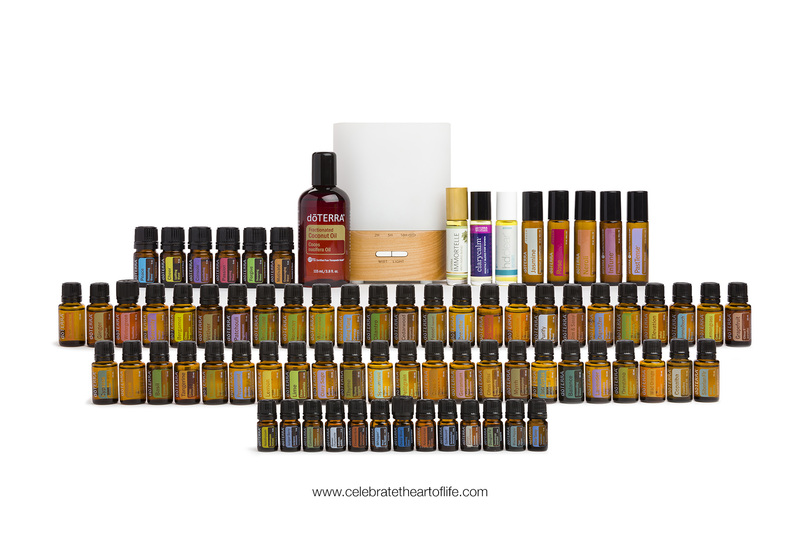 This amazing collection has every single oil! Yes!! 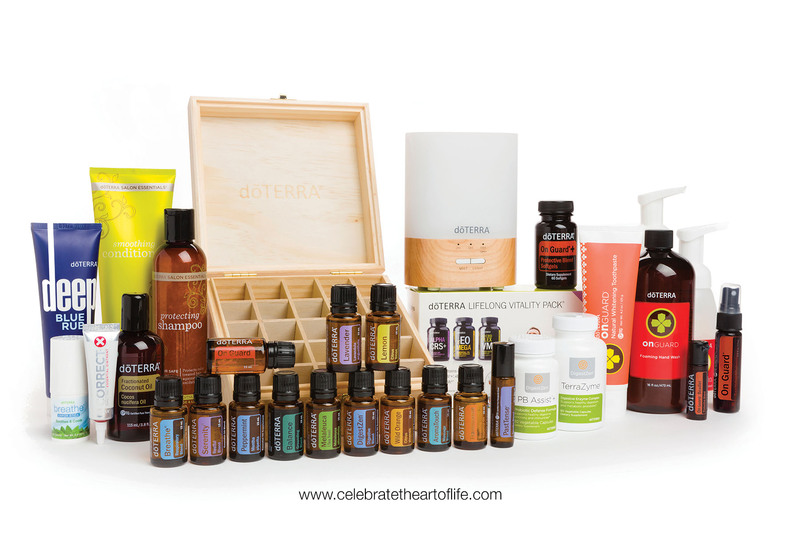 This collection is perfect for someone who wants all the oils right away to uplevel their health. It also comes with my favourite Lumo Diffuser, fractionated coconut oil and an amazing briefcase to store your oils. If you are seriously considering the business, this kit is perfect for you. Your Savings: $395. Plus you also get 200 product points and start at 20% rewards. The Diamond Kit is the Every Oil Kit plus the On Guard Collection, all of our wellness supplements and products, the dōTERRA Salon Essentials Collection, the dōTERRA Spa Collection, personal care products plus accessories. 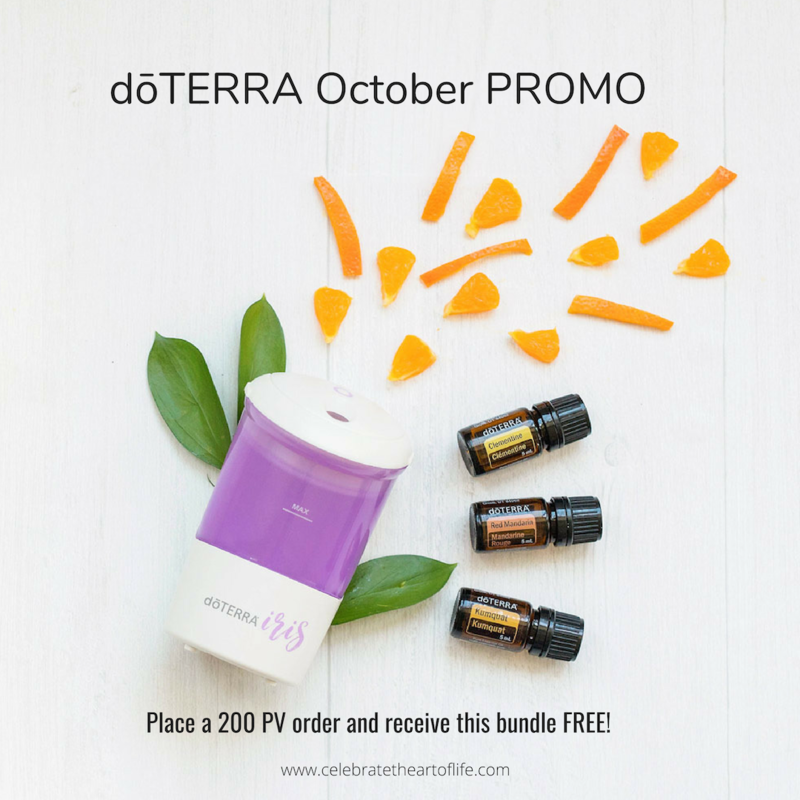 This kit offers you the most savings and is perfect for someone who is ready to make a huge shift in their health and self-care or someone who wants to start a dōTERRA business and is ready to hit the ground running. Your Savings: $866.25. You’ll also receive 400 points in FREE product credit and start at 25% rewards. The best way to get started with essential oils is by choosing the starter kit that best suits your needs. These kits come with our amazing essential oils AND offer you great savings to get going with your essential oil lifestyle. We have other options available for you depending on what country you live in. If you still have questions or need help deciding, connect with me and we’ll set up a time to talk. Still not sure how to use oils? Click here to read my blog post on how to use the top ten most popular oils. I know that you have lots of questions about how to use these oils. We’ve got you! When you enroll with me or another wellness advocate on my team, we’ll guide you with our fave essential oil references and we’ll also be there to help answer any questions you may have when you are getting started. You are going to LOVE the essential oil lifestyle! We have lots of guides, resources and a thriving private Facebook oil community for you to learn how to use your oils. We have ongoing education, exclusive team resources and giveaways and lots more for you. The best way to get started is to set up a wholesale account so that you can purchase your oils and natural health products at a 25% discount whenever you want. No minimum purchase requirement. No requirement to sell ever. No strings attached. The best part is that they’ll get delivered right to your door. You can opt into our monthly loyalty rewards program if you like (totally optional) and start to earn FREE product points… but that is totally up to you. No pressure! But, seriously…our rewards program is the best! You can earn up to an additional 30% back in rewards points just for purchasing products that you use every day. + Connect back in with the person who has been guiding you with oils. If that person is me, then let’s get started! Follow the steps below to create your first order. + Click Join and Save to open up your wholesale account. + Click your home country/language and select where you would like your oils shipped to. Choose ‘Local Order’ if you are ordering a kit from your country OR choose ‘International Order’ to order a starter kit from the United States. * the US has a few different enrollment kit options for you. + Fill in your contact information. To join my community, you’ll find the Enroller & Sponsor fields populated with my Wellness Advocate ID, 3629017, but if you don’t see that, just add my ID number in there so you’ll be joining our community. When you click verify ID, you’ll see my name Jennifer Klementti. + Enter your payment information and click Process Order Now and Continue to complete your purchase. + *Optional You can set up your first Loyalty Rewards Program (LRP) order immediately after your first order. It’s not necessary, but it’s the best way to continue to purchase your oils and natural products to start your essential oil lifestyle. Your LRP can be set up or deleted at any point. There are no cancellation fees if you choose to cancel at any time. + That’s it! Super simple! 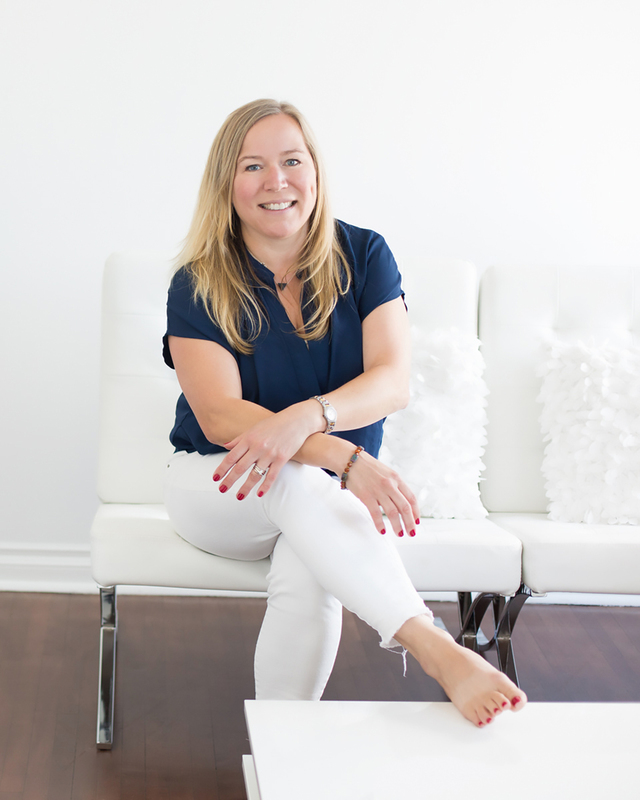 Your first order will ship directly to you and you’ll receive a welcome email with lots of resources from me and an invitation to set up a personal 1:1 consult to help you get started. + Welcome to our community! We are so excited you’re here.